One of the things I love about painting with watercolors is you don’t have to fill the page with paint. Sometimes it’s what you don’t paint that makes the biggest impression. 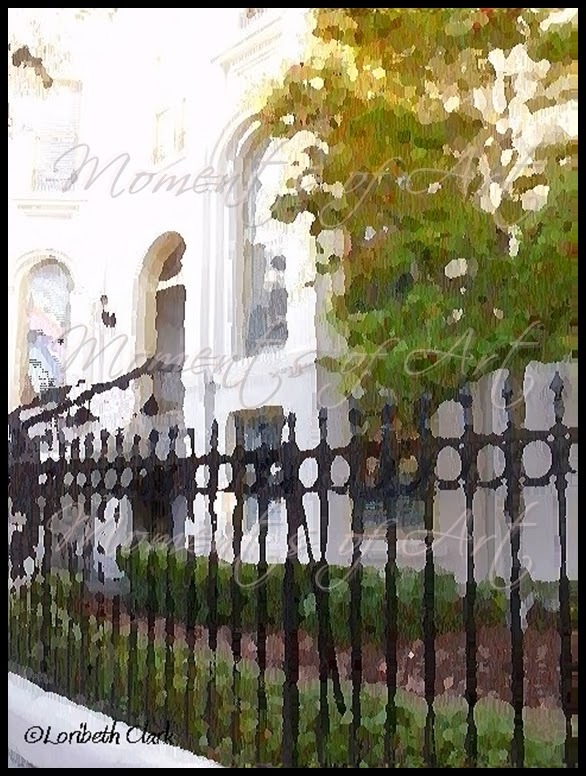 As in this painting, what I didn’t paint is the sun on this home in Savannah, but that’s what you see. This the final painting in my four-part series of watercolors inspired by photographs I took while strolling around Forsyth Park with Jim the day after we were married. For me, they invoke memories of the most romantic moments of my life. An 8×10 print can be purchased of this print in my shop, Moments of Art.